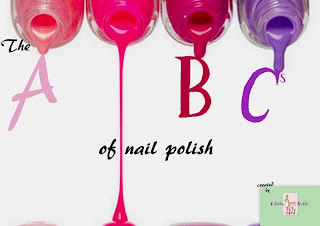 Week 3 is C and I've decided on Barry M Croc Effect nails. I got this polish in a swap and haven't really played with it so this is the perfect opportunity. Shatters & Crackles don't really do it for me, but I love the Croc effect. With & without Spectraflair top coat, don't cha just love it!! I'm so jealous - every time I use the croc I bugger it up by applying it too soon. And it looks soooooooo fab with spectraflair top coat. I really must get some, I keep stalking it on ebay.